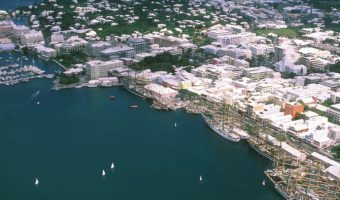 Bermuda’s main post office is situated on Church Street in Hamilton, between Sessions House and Bermuda Cathedral. Opening hours are Monday to Friday, 8 am to 5 pm, and Saturday, 8 am to midday. The other post office in Hamilton is the Perot Post Office on Queen Street. Map showing location of General Post Office.